Without them, water run-off will continue to settle along the side of the foundation of the house. Over time, the water causes erosion and deterioation which may compromise the soundness of the foundation. Rain water run-off will also ruin paint ,stain and siding. It will often destroy deck's, patio's, sidewalk's, stair's and driveway's. Not to mention ice and snow dripping, falling and freezing on walkways. Alaskan Weatherguard can help to alleviate these problems. We can offer courteous, prompt service with competitive, low pricing. Give us a call or send us an email! 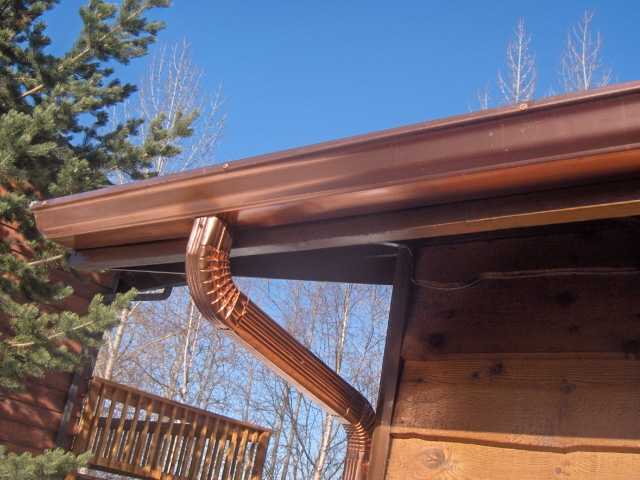 This Alaskan owned and operated company offers seamless rain gutters and custom metal fabrication to fit your water protection needs. 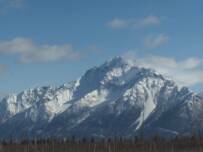 We proudly serve the Matanuska Susitna Valley, Eagle River and Anchorage areas. With over 20 years of experience we can help you protect your investment. We are licensed, bonded and insured. Call us anytime for a free estimate. 715-8712. Thanks for supporting us!